New Perspective Senior Living is set to start work later this year on a new senior living community in Waukesha, Wisconsin. The 128-unit independent living, assisted living and memory care community will have amenities such as a two-story lobby and reception area with fireplaces, water features, three dining venues, an indoor warm-water pool, a full-service beauty salon and spa, activity center, movie theater and dance hall. Plans call for an official groundbreaking ceremony to be held sometime during the spring, with an opening slated for late summer of 2020. Allegro Senior Living has closed on a land purchase for a new senior living community in Harrington Park, New Jersey. The community will have 177 independent living, assisted living and memory care units. Planned amenities include a theater with stadium-style seating, salon and spa, saltwater swimming pool, and a penthouse pub with reservoir views. Apartments will come with features such as designer lighting and fixtures, custom closets, large bathrooms, big windows, screened porches and balconies. The community will also have for residents penthouse-level units with even larger living spaces, premium finishes and appliances and fireplaces. The community is scheduled for occupancy in the fall of 2020. Meyer Design and Directions in Design are providing architectural, engineering and interior design services for the project. Colby Denison, the developer behind the Skye Luxury active adult community in Austin, Texas, has plans for a second location in nearby Dripping Springs. As planned, that community will break ground later this spring and open in the fall of 2020. Skye’s current Austin community offers a range of upscale amenities and services such as multiple dining venues, a movie theater, a beauty salon and boutique and transportation in a Tesla Model X or motor coach. A Polish investment and development company is spearheading a new line of senior living communities by opening a new property in Florida. 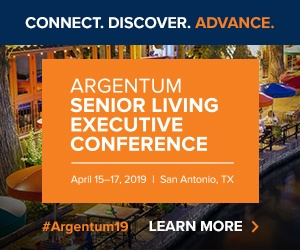 That company, Metropolitan Investment, has joined forces with AgeWell Senior Living Management launch a new chain of senior living communities under the MI Senior Living brand. The brand’s first community will be Tequesta Senior Housing, a 124-unit community in Tequesta, Florida. The community is set to open near Jupiter Island, an exclusive neighborhood known its hospitality. Workers are slated to break ground on Tequesta Senior Housing in the spring of 2019, and wrap up work by the fall of 2020. Spring Hills Middletown Assisted Living, a senior living property in in Franklin, Ohio, is adding 20 more apartments. The new one-bedroom units will be located in an expanded assisted living area and will be connected to the community’s main building. Workers have laid the final floor of Maplewood Senior Living’s 23-story Inspir Carnegie Hill community in New York City. The building is LEED certified and has floor-to-ceiling windows, a lounge on the 17th floor, open-air terraces and enclosed gardens, views of the East River, salon and spa, fitness center, and a pool. The community is currently scheduled to open to residents in December. Pathway to Living has started pre-leasing at Heartis Village of Brookfield, a 104-unit assisted living and memory support community in Brookfield, Wisconsin. The community’s assisted living apartments range in size from 351 to 917 square feet, while its memory support studios range from 293 to 306 feet. Amenities include two restaurants, a theater, salon and spa, demo kitchen, exercise and therapy gym, community room and two outdoor courtyards with walking paths. Heartis Village of Brookfield is the fourth Heartis-owned community to be managed by Pathway to Living. The community is scheduled to open in September. Holbrook Acworth, a forthcoming active adult community set to bring 181 apartment homes and 26 cottages to Acworth, Georgia, is holding an event on March 23 to showcase some of its services and two model cottage homes. Holbrook represents a $75 million investment and is slated to open later this year in the early fall. Representatives from Discovery Senior Living, the Henning Group, Architectural Concepts and Wegman Design Group hosted a topping off ceremony on March 8th for Discovery Village At Naples, an independent living community set to open in Naples, Florida, in 2020. Workers are moving ahead with the construction of the 175-unit community. As planned, the community will have one-, two- and three-bedroom apartment homes with access to a fitness center, clubhouse, club and bar, bistro and ice cream parlor, media center with cognitive brain fitness programs, a movie theater, heated pool and spa, and a beauty salon and barber shop. Cadence Living is set to hold a grand opening celebration on March 28 for its Inspira Arrowhead in Glendale, Arizona. Inspira Arrowhead is a 165-unit senior living community developed in partnership with Scottsdale, Arizona-based P.B. Bell. Radiant Senior Living is opening a new building at its Renaissance at Coeur d’Alene community in Coeur d’Alene, Idaho. The new building will increase the community’s capacity from 64 to 80 units. A grand opening celebration is slated to occur on March 14. Waltonwood Lakeside, an independent living, licensed assisted living and memory care community in Sterling Heights, Michigan, has wrapped up a renovation project. The project, which lasted eight months, included a overhaul of the community’s interior with new finishes, furniture, draperies, accessories and artwork. The work also upgraded a cafe with new signage and LED light fixtures. — Roers Companies is planning to open a new senior living community in Buffalo, Minnesota, in the spring of 2020. — St. John’s United plans to build a $10.5 million senior housing complex in Billings, Montana. — A 120-unit senior living community is in the works for Portland, Maine. — Work is slated to begin soon on a project that will turn a residence for nuns into senior housing in Williamsville, New York. — A mixed-use project with a senior housing component in Rockville, Maryland, is scheduled to hold an official groundbreaking ceremony next month. — A new memory care community has opened in Bellevue, Washington.